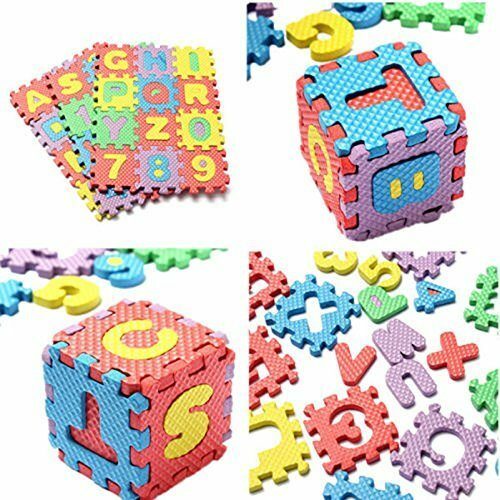 Foam Floor Alphabet & Number Puzzle Mat Only $2.65 + FREE Shipping! You are here: Home / Great Deals / Amazon Deals / Foam Floor Alphabet & Number Puzzle Mat Only $2.65 + FREE Shipping! Here’s a fun mat your kids can use to learn and also play with! Grab this 36-Piece Foam Floor Alphabet & Number Puzzle Mat for $2.65 + FREE shipping! This is a great way to teach your kids how to match shapes, too – just pop out the letters and numbers and have them match them up! My daughter had a mat like this when she was a kid, and she loved it!